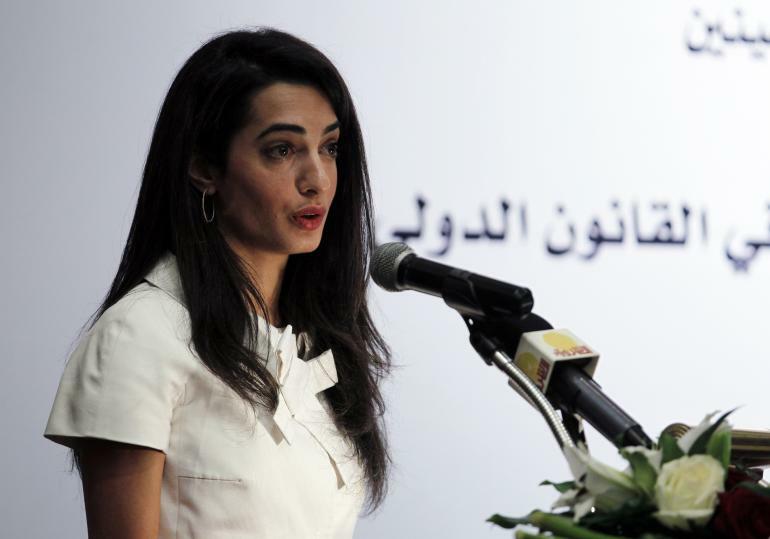 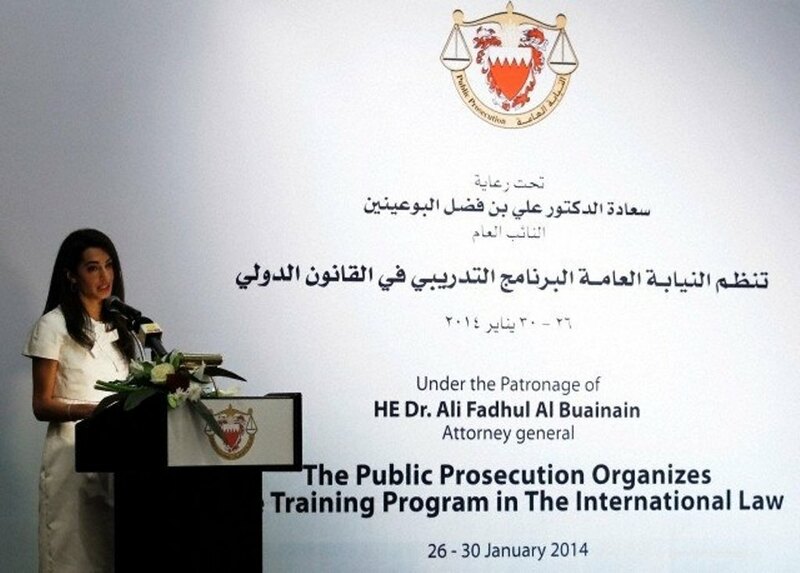 Amal Alamuddin took part in a seminar to train Bahraini lawyers in international law, in Manama Jan. 25, 2014. 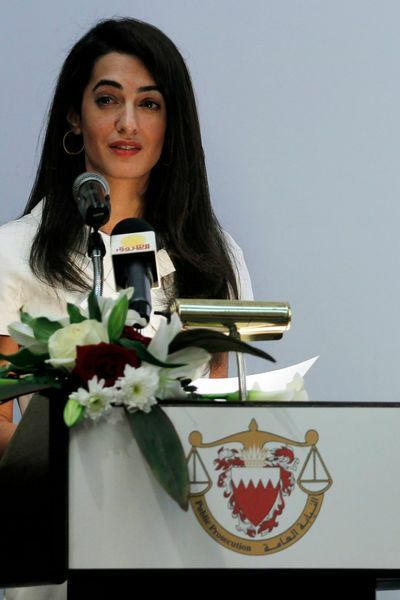 She was elegant with a white dress. 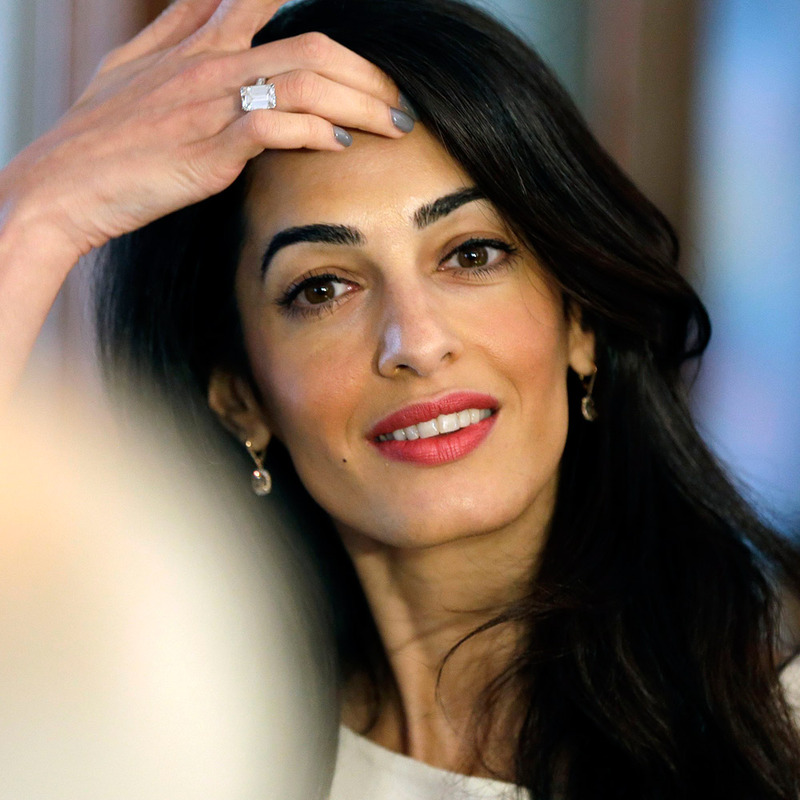 Her dress is probably by Paule Ka. 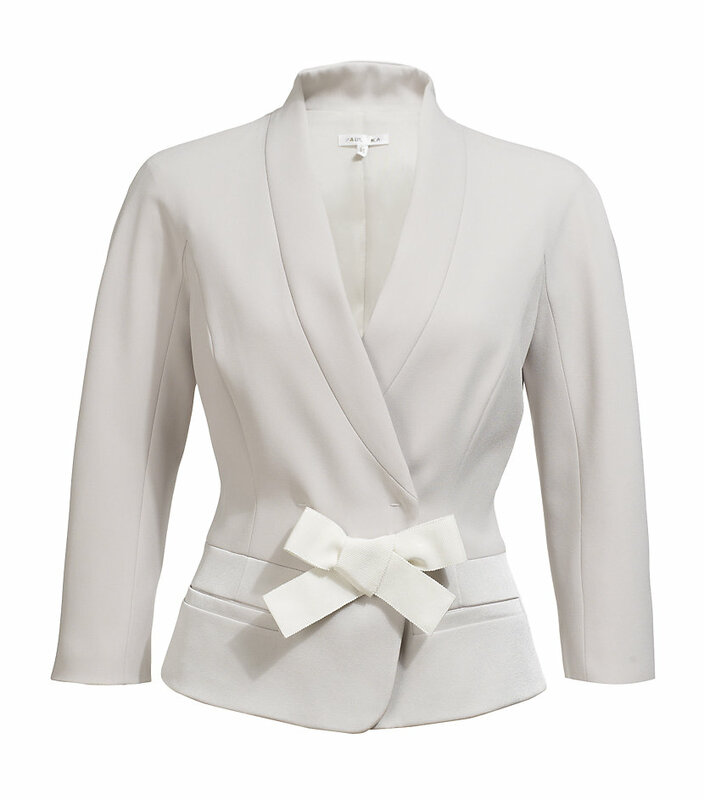 The bow knot is Paule Ka‘s signature.